Most retailers offer credit cards these days, and Toys R Us is no exception. The “R” Us credit card is good at both Toys “R” Us and Babies “R” Us, the country’s largest toy and baby supply retailers. Their card claims to offer a slew of benefits and rewards, but are they really worth it for the average toy shopper? First, let’s talk about Toys “R” Us’ non-credit card rewards program. This program, called Rewards “R” Us, is free for everyone and has no impact on your credit whatsoever. For every $1 you spend, you earn one point. When you spend $125, you get $5 in rewards credit. This is a measly 4% return, but it isn’t bad for a free program. It also comes with some neat perks for your kid, including a birthday club where they send your child a card and a free gift on their birthday. This free rewards program is definitely worth signing up for because you have nothing to lose. 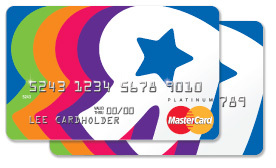 A step above the Toys “R” Us free rewards program is the “R” Us credit card option, serviced by MasterCard. The credit card offers a few additional benefits that you don’t see with the free version. For every $1 you spend with the credit card, you earn two points instead of just one. This essentially doubles your rewards, meaning for every $125 you spend, you earn $10. This yields a return of 8% back, which still isn’t much. With the MasterCard you can also earn points at retailers outside the “R” Us family, but not that many: a meager one point for every $4 spent. The “R” Us card offers two different options as their sign up bonuses. You can choose to take 15% off your purchase on the day you open your account (a one-time offer), or you can choose their special financing option. Special financing offers deferred interest on purchases over $299 for six months or purchases over $749 for twelve months. As always with deferred interest, it’s important to pay off the total balance before the deferment is over, or else you will be charged the interest fees for the entire term. At 26.99% interest, that’s a hefty cost for the privilege of dividing your purchase into payments. Since purchases made with special financing don’t earn any points at all, you are better off charging your purchase to a card with lower interest. It’s worth noting, however, that the special financing option is available at any time you have the account open, not just the first day you open it. If you do choose to open an “R” Us credit card, you’re better off choosing the 15% off option since you can utilize special financing at any time. In addition to these benefits, the “R” Us card also gives shoppers 10% off their total in-store purchase every Thursday. This is an interesting benefit, because most store cards don’t offer ongoing discounts. Throughout the year you also receive special coupons and promotions in the mail and through email, giving you additional periodical discounts. You can’t combine multiple discounts together, so these may or may not be useful. As far as store cards go, the “R” Us card definitely offers some unique benefits. However, with such a high interest rate and low return on rewards, it might be better to stick to their free rewards card and make purchases with a credit card that has lower interest. By using a different rewards credit card you also double-up on points—you earn points through Toys “R” Us with their free membership in addition to whatever cashback rewards your credit card has.